FORMER Finance minister Patrick Chinamasa's daughter, Kangai (38), claims she was assisting embattled businessman and Intratrek owner Wicknell Chivayo purchase "equipment" in the United States when some $187 000 was funnelled into her account. Documents gleaned by NewsDay that form part of Chivayo's docket, show that Kangai, a US permanent resident, was employed by Intratrek initially as an "intern" in 2014 before she turned into a "consultant during contract negotiations with a Chinese supplier". "I travelled to Chint company and sat for the project negotiations as a financial consultant," read part of Kangai's affidavit deposed with the police now forming part of the docket prosecutors have pieced together in a bid to nail Chivayo. Sometime in 2015, Kangai left Intratrek after getting a place for further study in China and never returned to her position as Chivayo's employee. Instead, in 2016, she claims she returned to the US before Chivayo requested to use her Visa account with CBZ Bank for purchase of some "equipment he wanted in the US", but the money was later transferred into different unnamed accounts at the shadowy businessman's instructions. Chinamasa's daughter claims after agonising over the issue "for personal reasons", she later agreed. 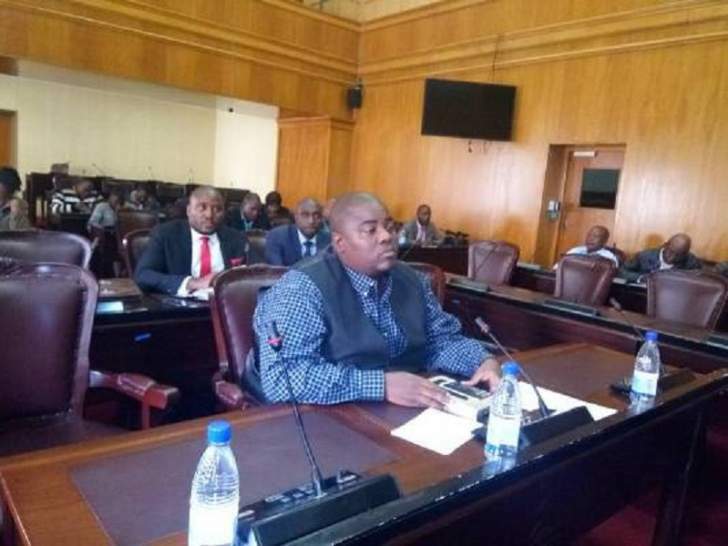 "From the deposited amount, $7 300 was for personal assistance, a further $180 000 was disposed by myself on accused's instructions," Kangai said. Chinamasa was this week named as the official who advised ZPC to raise the $5 million Chivayo had demanded for the solar project's feasibility studies. "After the accused (former Energy minister Samuel Undenge) had given us the greenlight to pay Chivayo, we approached the then Minister of Finance (Chinamasa), who advised us to raise the money through CBZ Bank," former ZPC managing director Noah Gwariro told magistrate Esteri Chivasa early this week. The ex-ZPC boss said after receiving the orders, he then texted one Engineer Chiwara of Hwange to immediately effect a transfer of $200 000 into Chivayo's Intratrek's bank account. Asked by Undenge's lawyer Alec Muchadehama if he had evidence to show the court that the former Energy minister pressured him to effect a payment to Chivayo, the ex-ZPC boss said he did not have.